It is currently displaying HTTP Error 404. The requested resource is not found. May I know how can I "refresh" my solution so that it can detect the newly added login.aspx page? First, I recommend you deploy your login page with your wsp file - you can deploy it to your own folder under the layouts folder. Second, making changes to the iis authentication settings is not something that's supported in SharePoint. You should look at your web.config backup files and revert any changes - and make sure SharePoint has gone back to the way it was working before. You set the location of your custom login page in the 'Authentication Providers' settings - which is on the Central Admin - Manage Web Applications page. Not the answer you're looking for? Browse other questions tagged sharepoint-server 2016 forms-authentication aspx or ask your own question. How do I customize the main login page for sharepoint where user chooses FBA or Windows Auth? How To Reference Custom Class In SharePoint ASPX Page Project? 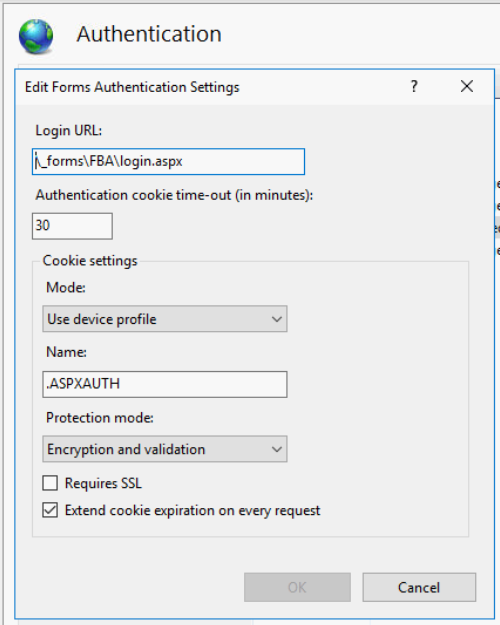 SharePoint 2013 Forms Based Authentication is slow– Why does SetPrincipalAndWriteSessionToken take 20 seconds or more?